I found this form via a youtube video. I’m trying to reduce the amount of traffic noise that gets to my house, is this the right forum you are more focused on musicians? G, Noise must be qualified and quantified. You must measure frequency and amplitude over a week time period to see the high and low-pressure areas. We have a noise design service where you take the measurements and then we design the barrier for you based on your measurement data. 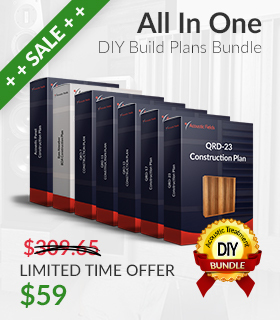 We provide you build drawings so you can build your own barrier. The design fee for this service is 1,500.00 USD. I might be interested. Do you have a document that describes how those measurements should be taken? This is a very helpful video about traffic noise and I see this full video where I get the general knowledge of traffic noise and how to reduce traffic noise and where can I get more information about traffic noise reduction. R, You must measure the frequency and amplitude of the noise you are dealing with. All noise is different. Traffic noise is different than machine noise, machine noise is different than other types. It all must be measured. Once we know the noise rates and levels, we can then build the correct barrier. Without measurements, we are just guessing and that is fatal with noise. I am a victim of noise pollution from the highway beside my apartment, definitely not an ideal apartment location but I had to make a compromise for a cheap price. Anyways, the traffic noise was becoming really disturbing, I seeked help from my neighbours and they recommended this noise screen which helped cancelled out noise. The screen is flexible and aesthetically pleasing, I was skeptical at first, but it worked perfectly, and reduced the traffic noise. I want to remodel the walls of my house, I need them to be sound proofs and a friend recommended me the website described below. Some of you know them? What can you tell me about them? This company is located in Guangzhou city of Guangdong province, which is close to Guangzhou and Shenzhen port, more easy to arrange the delivery. HuiAcoustics has a number of specialized workers who have had the techniques of manufacturing acoustic products for more than ten years. Furthermore, there are inspection equipments in our factory. With an efficient service team, fast delivery and thoughtful after-sales services, our polyester fiber acoustic panels markets spread worldwide with a rapid growth including United Arab Emirates, Senegal, Malaysia, Norway, France, Turkey, India, Spain, Syria, United Kingdom, Reunion, American Samoa, etc. Our High Sound Absorption Noise Reduction Polyester Fiber Foam can be used at almost any project that need acoustic treatment, such as broadcasting station, auditoriums, theaters, work spaces, air plane stations, swimming pools etc. HuiAcoustics is a leading professional manufacturer of soundproof room divider, acoustic wall and ceiling systems in China, and has won a very high reputation within our client network after years of effort and development. We expanded our business scope of export and trade in overseas markets to strengthen our trading ability, and we have made substantial investments in human resources. Haikou Cultural Arts Center; Hefei Exhibition Center; Office Building of Guangzhou-Japan Lifts Industrial Company; Chongqing Telecom Building; Shenzhen Bay Sports Center; Stadium of Southwest University of Finance; Philadelphia Federation of Chinese Culture, United States, etc.